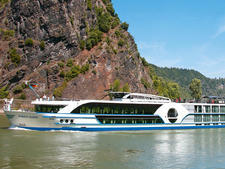 Riviera Travel, which operates river cruises throughout Europe and on the Mekong River in Southeast Asia, has added a new ship to its European fleet. 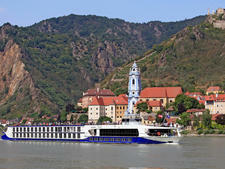 The 140-passenger William Shakespeare sails seven-night itineraries on the Rhine. 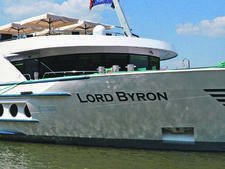 A sister vessel to Lord Byron, the ship features contemporary decor that includes sustainably sourced tropical hardwoods and brass and wrought iron fittings. 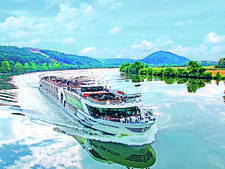 The ship's three passenger decks have been named after Shakespearean characters -- Hamlet, Othello and Romeo -- and the main public space, the Globe Lounge, takes its name from the 16th-century London theatre that showcased the Bard's plays. The majority of cabins are 161 square feet. There are four 245 square feet suites located toward the center of the upper Hamlet Deck. They have balconies, each with room for a table and chairs. 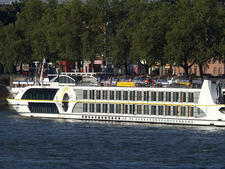 The other cabins on the upper deck and middle Othello Deck have floor-to-ceiling glass windows and French balconies. Both panes of glass on the windows slide back over the outside of the ship to open the whole window aperture to the fresh air. Cabins on the lower Romeo Deck are 151 square feet and have smaller fixed windows. Meals are served in the dining room on the middle deck, which has an open dining set up, and evening dinner features silver service. 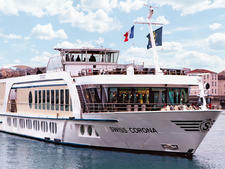 To the rear of the ship on the upper deck is the Midsummer Bar; in the evening, it's used for an intimate dining experience where the chef serves signature dishes to 24 diners. 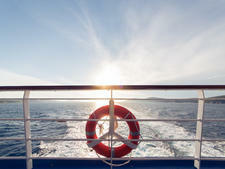 This can be reserved onboard at no extra charge. 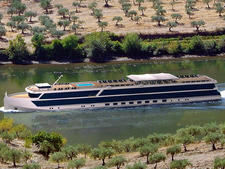 The panoramic Globe Lounge is located forward on the upper deck, and the ship also has a sun deck.